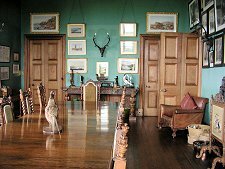 Balfour Castle has ceased to be an exclusive use venue and, according to its website, is now a private house. The rest of this page remains largely as it was when the castle was available for exclusive use, but is now out of date. 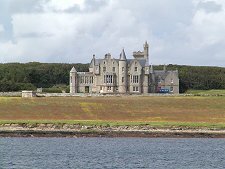 Balfour Castle dominates the south west end of the island of Shapinsay. It stands proudly in front of a belt of woodland close to the shore, and is the first and last that visitors see of Shapinsay on the short ferry crossing from Kirkwall. Balfour Castle's location is so prominent that it is clearly visible from the top of the tower of St Magnus Cathedral in Kirkwall. Outwith the castle itself are its large grounds. These extend to the shore of the island to the south and west, and into the large wooded area to the north. In the heart of the woods is Balfour Castle's two acres of walled gardens. A short walk to the east is the village of Balfour and the terminus for the ferry service to Kirkwall. En route you pass the old gatehouse of the castle, now the village pub, aptly called The Gatehouse. 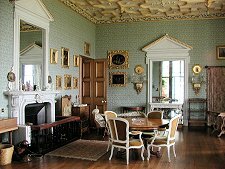 The story of Balfour Castle dates back to 1782 when Thomas Balfour purchased the estate of Sound, and had a house called Cliffdale built on it. In 1846 the estate passed to his grandson, David Balfour. The following year David Balfour engaged the Edinburgh architect David Bryce, and the building of Balfour Castle began. It was finished in 1848. Much of the original house still exists within the structure of the castle, but Bryce sandwiched it between a service wing to the north and the imposing three story (plus towers, turrets etc) stack of public rooms now forming the south side of the castle overlooking the sea. The end result is what is sometimes called a "calendar house". 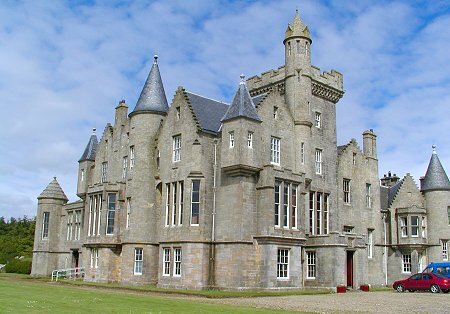 Balfour Castle is said to incorporate 7 turrets, 12 exterior doors, 52 rooms, and 365 panes of glass. 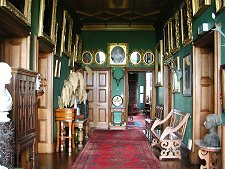 The real glory of Balfour Castle lies in its suite of first floor public rooms. The dining room occupies the south west corner of the castle and is dominated by the huge dining table. 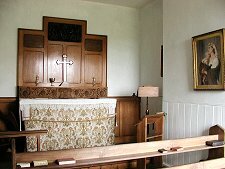 The south window alcove contains a superb model ship. The walls are packed by fascinating pictures, between which are found an oddity: stags heads through which gas used to be pumped to gaslights on the tips of their antlers. 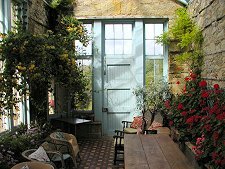 Much of the west side of the castle is taken up by a drawing room that would not look out of place in a grand French chateau, and leading off it is the wonderful conservatory in which you can enjoy the westward sea views while sitting amid a profusion of flowering plants. 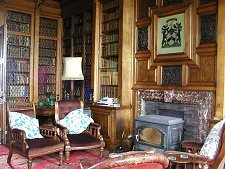 At the rear of the castle is the library, used as a family sitting room and study in the castle's earlier days. An interesting feature is a secret passage hidden behind a false set of bookshelves that leads through to the drawing room near the conservatory door. If someone called who the Balfours did not wish to see, they would scoot through the passage and into the conservatory. Whereupon the butler could return to the front door and tell the unwanted visitor, more or less truthfully, that the Balfours were not at home. The library, like the other public rooms, leads off the long room known as the gallery. This houses many of the statues and paintings collected by the Balfour family over the years. In 1960 the last Balfour died, without an heir, despite four wives. The estate, complete with the neighbouring 800 acre farm, was purchased by Captain Tadeusz Zawadski, a Polish Cavalry Officer who had come to Britain in 1941 after escaping the massacre in the Katyn Forest. He took up residence with his Scottish wife and four children.